Another Big Event of the summer has passed–Andreas’s and my fifth anniversary! To think that it was five years ago we held our gummi bear wedding is almost ludicrous, but there it is! I had originally thought I would plan our anniversary weekend (it fell on a Saturday this year–what luck!) but one day, Andreas told me that he rather had an idea, and not to plan anything. So we arranged for Theo to spend the whole weekend (two nights!) with his aunt, uncle, and cousins, and we took off on Friday morning to an unknown-to-me destination! I knew that we had to be wherever it was at a certain time, so I had an inkling that it might be a ferry–and it was! My First Ferry Ride! It was so exciting, driving through the countryside, only guessing at where we were headed, with three entire toddler-free days ahead of us. Enough to make anyone giddy and newly in love! The ferry ride was windy but really lots of fun–and heading up on deck with some coffee was just the thing to stave off the nigglings of seasickness. The ferry was headed to Samsø, a cute little island between Zealand and Jutland, north of Fyn, and apparently quite the tourist destination–and no wonder! The landscape was amazing, thatched roofed cottages everywhere, and no shortage of Danish charm. I didn’t get nearly as many pictures of the beautiful flowers (and lots of roses!) that were everywhere, but how cute is that flower tree in front of that house?! It was so fun to be lovebirds again, and we took lots more selfies together, which I’ll spare you 😉 There was a lot of rambling on the hills, trying to skip stones, and driving from darling town to darling town, stopping in shops, flea markets, and little farmer stands along the way. Idyllic x20. The best part of it all was being able to do exactly as we pleased without planning outings around a naptime, or anxiously pulling small hands away from the many, many breakable objects in the cute, tiny shops. We went out for a (I was going to say “late” dinner, but it was at seven pm :P) dinner for our anniversary at a place called “The Pearl” which was really lovely. Especially for me, as I ordered butter-fried fish which came with a bowl of browned butter on the side! We even got fancy dessert, and really delicious sparkling cider! Andreas served as primary photographer (and I get the job as multiple-photo-deleter). All in all, it was a superb trip, only made better by the fact that it was a surprise. Even the ferry ride home wasn’t all sad, as by that time I missed Theodore something fierce, and was so excited to bring him home again. I don’t know if we’ll ever top this, but really, we don’t need to–as long as we get to do it all over again! Since I’ve been holding off blogging until I could spill my beans, there’s a lot I haven’t posted about here! The biggest thing was probably when I went touristing Copenhagen, and spent the weekend in Stockholm. A friend of mine is studying in Germany for a semester, and since he’s always been crazy about Scandinavia, he came up for a visit! We planned this visit back in October/November. I found out I was pregnant just after Thanksgiving, and a few weeks later realized I was going to be acting a tourist in the midst of my first trimester. The day my friend’s flight was scheduled to arrive, I was probably the sickest I’d been. I spent the morning hovering around the toilet until I had to leave. Fortunately, the fresh air seems to calm me down a bit. Unfortunately, the fresh air was also January air which was really, really cold. The next few days, we spent exploring Copenhagen, a lot of it on foot. 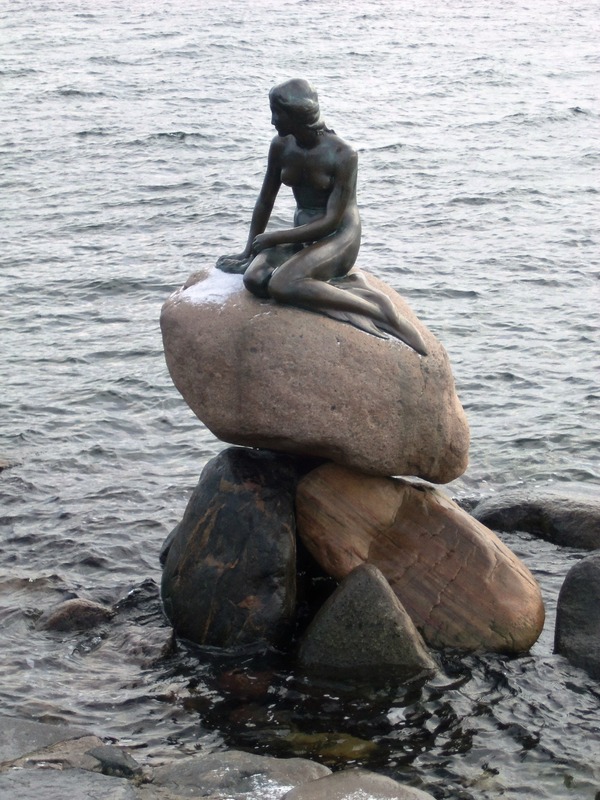 I know my friend must have severely edited his list of things he wanted to see and do whilst in Copenhagen because I just couldn’t do it all, but even though we didn’t do everything it was still far too much for me. Three days of traipsing around Copenhagen, and it was Friday night. We were due to leave for Stockholm in a couple of hours and if my husband hadn’t been coming with us, I think I would’ve lost it. I was exhausted. I didn’t want to walk another step. I didn’t want to wrap my scarf around my whole face anymore. I didn’t want to see anything. I wanted to curl up in a ball in my bed and SLEEP. Stockholm was alright, but I was ridiculously exhausted. 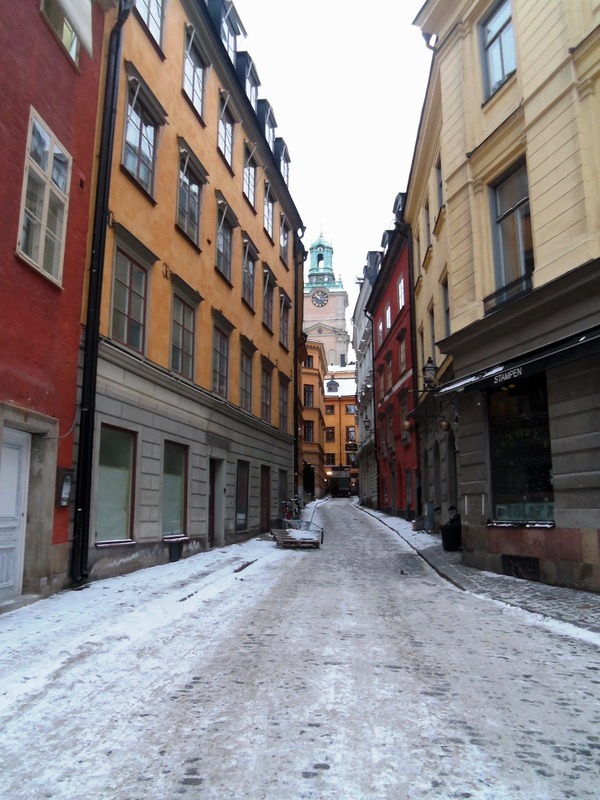 We saw Gamlastan, which was very quaint and cute, and probably my favorite part of the trip. However, Stockholm was even colder than Copenhagen. The streets were icy, the wind was cutting, and I couldn’t wait to turn around and head back to the hostel when it got dark (which was, luckily for me, right around 3 or 4 pm). 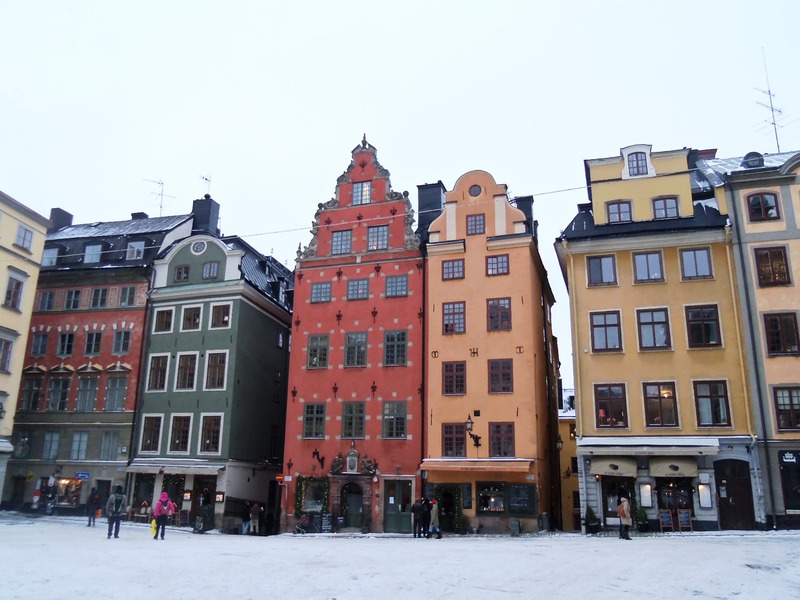 The second day in Stockholm, I was so hormonally grumpy and tired that I didn’t want to do a single thing. If it was up to me, we would have gone to the mall, and just sat for the six hours between checking out of our hostel and boarding the train back to Copenhagen. Luckily, the boys took charge, and we ended up getting a tour of parliament (because it was free and warm in there) which was another highlight of the trip! It felt like a field trip, and I’d really missed learning about things in that way. The train ride back to Denmark was also surprisingly good! We three were sitting in a little group of four seats. On the way there, we’d had the “compartment” to ourselves, but this time a young woman around our age filled the last seat. It turned out she was from Germany, and was extremely prone to motion sickness. The train had poblems and delays (and kept switching direction), and for some reason, Andreas and I also got motion-sick. I’m pretty sure mine was related to the fact that I was nauseous in general. Anyway, we all talked and laughed together, which was a great distraction from the fact that we were holding plastic bags at the ready. It was a good ending to the trip, being able to sit, relax, and get to know someone new! However, I think that I’ve learned to not plan trips while pregnant. To be fair, I wasn’t even pregnant during the planning, but in the future, I think I’ll even be more aware about planning trips if I’m thinking about maybe trying for a baby. Even writing this little summary of a blog post about the trip and thinking about how it was has made me exhausted, but I’ll end with a couple of pictures I managed to get without frostbiting my fingers!